The Native American Story of the Ute Wars. Learn about the culture, stories, and legends of American Indians and their famous chiefs, tribes and wars. A Native American Story of the Ute Wars to teach kids about Native Indians in a short, enjoyable, easy to read format. 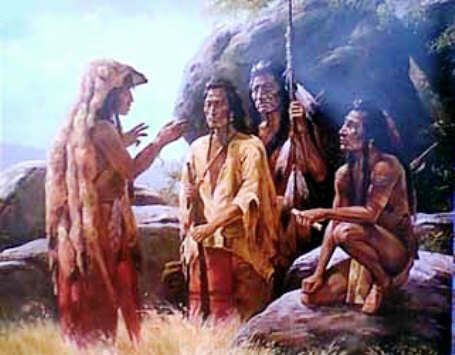 Broken treaties, dishonest Indian agents, failure of rations due the different tribes, malcontents among the Indians, lawbreaking white men—all these have been the causes of many of our Indian troubles, but by far the most disturbing force, and the cause of most of the Indian wars which disturbed the West, has been directly due to the concentration or consolidation policy adopted in 1873 as a part of the so-called "peace policy" inaugurated during President Grant's administration. The execution of this policy required that the different tribes should be gathered together as rapidly as possible on certain reservations. Resistance meant that they were to be removed by force—to be driven from their native homes and placed on undesirable lands, often far removed from the place of their birth and the graves of their fathers. This injustice was to be enacted in order to satisfy the white man's greed for their lands, although sacred treaties had been made which had provided that the Indians were to retain certain lands set apart for them on the various reservations. 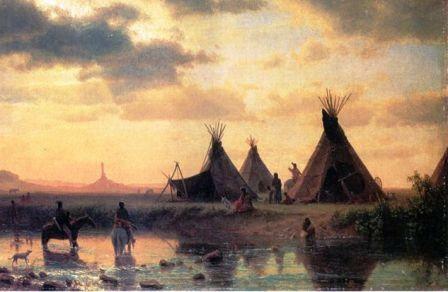 The Indians saw these sacred promises broken; and only too often were they on the verge of starvation by failure of the Government to grant them sufficient rations. Under such circumstances, it is not to be wondered at that they frequently evinced their dissatisfaction by leaving the hateful reservations and going on the war-path, in the course of which they committed all sorts of atrocities on the isolated settlements before they could be quelled and forced to return to the different agencies. The Native American Indian Story of the Ute Wars provides an opportunity to read about the life and times of Native American Indians and many of their great wars, chiefs and famous leaders. A Classic Short story about Ute Wars for kids and children of all ages. This short Story of the Ute Wars is great to read to kids and children enabling them to learn about history in a fun way. This very short story contains information about the famous chiefs of Native Indian tribes and their wars, battles and conflicts. This short Native American story has been selected to keep the attention of kids and children of all ages. Read our free short story online about Ute Wars. This free, online short story about the people of famous tribes Native American Indians to increase knowledge and understanding of the indigenous people of North America and the wars and battles they fought. The Story of the Ute Wars. Discover the vast selection of pictures which relate to the Stories, History and Culture of Native Americans. The pictures show the clothing, War Paint, weapons and decorations of various Native Indian tribes that can be used as a really useful educational history resource for kids and children of all ages. We have included pictures and videos to accompany the main topic of this section - The Native American story of Ute Wars. The videos on this website enable fast access to the images, paintings and pictures together with information and many historical facts. All of the articles and pages can be accessed via the Native Indian Tribes Index - a great educational resource for kids.